Muscle strains are very common sports-related injuries and can arise from excessive stretching while the muscle is activated. The result is a rupture or tears in the muscle fibres, the surrounding sheath as well as nearby capillaries. Strains are more common for muscle groups that cross two joints, such as the rectus femoris (quadricep muscle) which crosses the hip and knee, the hamstrings muscles which also cross the hip and knee, and the gastrocnemius or calf muscle which crosses the knee and the ankle. This is because there is more passive tension present in these muscles from stabilizing the joint. Muscle strains of the lower extremities are most common, especially in the hamstrings, adductors, quadriceps and calf muscles. One study investigated the injury pattern in European professional footballers, and included participation from the eleven (11) elite football clubs (Arsenal FC and Manchester United FC), France (Paris Saint-Germain FC, Stade Rennais FC and RC Lens), Italy (AC Milan, Juventus FC, and FC Internazionale) the Netherlands (AFC Ajax and PSV Eindhoven) and Spain (Real Madrid FC). It found that the thigh strain injury had the highest incidence rate, accounting for 16% of all injuries, with injury to the back of the thigh being more common than injury to muscles at the front of the thigh. In the same study, thigh and knee strains together accounted for 82% of all muscle strains. Thigh strain also had the highest incidence for track and field athletes during 2007 IAAF World Championships, with a 16% incidence rate. Diagnosis of a muscle strain is usually clinical, with the history of the injury also taken into consideration. Imaging techniques, such as an ultrasound or a MRI, may aid in making a diagnosis. A large European study found that if structural muscular damage is seen in MRI, there is a significantly longer recovery time compared to when no structural damage is shown in MRI. This, and the results of the clinical examination, can therefore be used to estimate recovery time. For grade I classification, there are only minor tears with minor swelling and minimal or no loss of function. 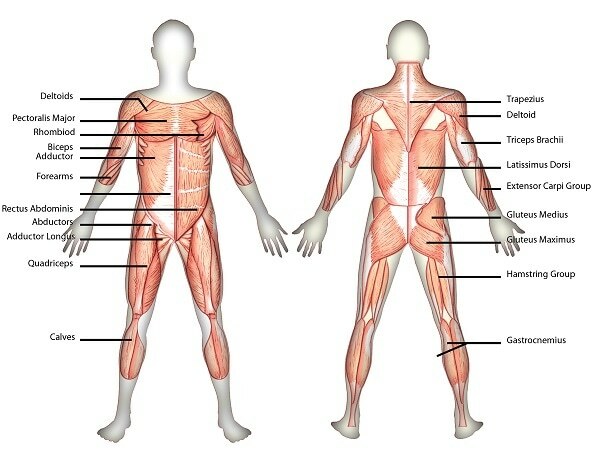 For grade II classification, there is a loss of function and greater degree of muscle damage. For grade III classification, the muscle is completely ruptured and there is a complete loss of function. Most muscle strains can be treated conservatively using non-invasive means, and this usually leads to excellent recovery. The RICE (Rest, Ice (cold), Compression and Elevation) principle is always first applied, after which a treatment plan should be designed based on the nature and severity of the injury. In RICE, rest is probably the most important element; it’s highly recommended that the site of injury be completely immobilized for a short period of time in the initial stages of injury. This helps in the formation of a scar between the ruptured muscle fibres7. Mobilizations immediately after injury usually results in re-rupture at the injury site. This should be avoided, as re-ruptures are actually the most severe muscle injuries, and take the longest time to heal. Prolonged immobilization, however, can lead to excessive scarring and should only last long enough for scar tissue to be able to withstand contraction forces applied by the regenerating muscle. Typically, this period is less than a week, between 4-6 days. Mobilization should be initiated as soon as possible, after the immobilization period, and should be gradual. This is known to expedite healing, and promote blood supply to the injured area. As for the rationale behind the rest of the RICE components, icing the injured area for an extended period of time (6 hours) may help reduce haemorrhaging and tissue death; compression may also help in reducing haemorrhaging, although its benefit is still not well established; and elevation can reduce the accumulation of tissue fluid in the injured area. After a period of rest, a rehabilitation regime that involves mobilization should be started, with gradual progression. A study that investigated the effectiveness of different exercise plans had on recovery from hamstring injury found that the exercise regime that focused on general agility and trunk stabilization is more beneficial than the regime that focused on hamstring stretching and strengthening. If symptoms do not improve one week after injury occurred, the patient should be re-evaluated, possibly with the aid of an ultrasound or MRI, and the need of surgical treatment considered. Other than the scenario stated above, surgical intervention is more beneficial when done sooner rather than later, including grade III strains and grade II strains that have resulted in half of the muscle being torn. For chronic situations where pain is felt for 4-6 months or more, surgery should also be considered. Garrett, W. E., Jr. (1996) Muscle strain injuries, Am J Sports Med 24, S2-8. Jarvinen, T. A., Jarvinen, M., and Kalimo, H. (2013) Regeneration of injured skeletal muscle after the injury, Muscles Ligaments Tendons J 3, 337-345. Delos, D., Maak, T. G., and Rodeo, S. A. (2013) Muscle injuries in athletes: enhancing recovery through scientific understanding and novel therapies, Sports Health 5, 346-352. Walden, M., Hagglund, M., and Ekstrand, J. (2005) UEFA Champions League study: a prospective study of injuries in professional football during the 2001-2002 season, Br J Sports Med 39, 542-546. Alonso, J. M., Junge, A., Renstrom, P., Engebretsen, L., Mountjoy, M., and Dvorak, J. (2009) Sports injuries surveillance during the 2007 IAAF World Athletics Championships, Clin J Sport Med 19, 26-32.